Workforce Staffing Solutions: What is the Shewhart Cycle? 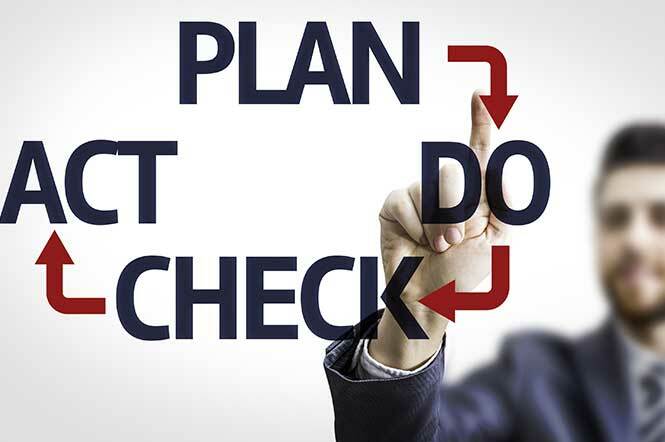 Today’s organizations and employees have the benefit of being able to use many different kinds of theories and models for the successful management and completion of business processes.One of the most commonly-employed models in this area is the Shewhart Cycle, also known as the Plan Do Check Act (PDCA) method. The Shewhart Cycle was named after Walter Andrew Shewhart, a statistician who worked to improve industrial quality for major companies in the early 20th century including Western Electric and the Bell Telephone Laboratories. SIA Report—Are Contingent Workforce Solutions Working? An important element of the cycle is its operation as a continuous loop. Each time an organization cycles through the four steps in the process, they gain new insight about how they can improve the efficiency of their operation and how they may be able to better meet their goals. How Is The Shewhart Cycle Used? One of the most common areas where the PDCA cycle is of particular assistance to manufacturing companies is in attaining ISO certification. Mark Hammar at the 9001 Academy wrote a blog post recently that identified some of the ways that ISO 9001 certification is linked to the ISO 9001 standard requirements. Hammar goes over the four steps of the cycle and connects each step to important concepts that are found within the type of Quality Management System that would be compliant with ISO 9001 certification. Even companies that are not looking for ISO certification will benefit from using the Shewhart Cycle because it offers a streamlined approach to process improvement. This cycle is excellent because it is easy to understand, yet broad enough to apply to a variety of different manufacturing processes. It is also scalable, which means that it can be used at a level that works for all types of different organizations that need help improving their processes and making sure they are producing as efficiently as possible.